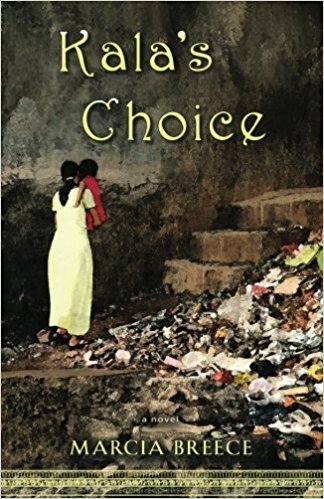 This captivating novel is set in Mumbai, India, during the 1990s. After Kala gives birth to a son, her husband demands that the girl be taken to the abhorrent orphanage. Instead, Kala abandons the toddler in the middle of the night with a pack of sleeping street children where she hopes the child will have a better chance at a happy life. 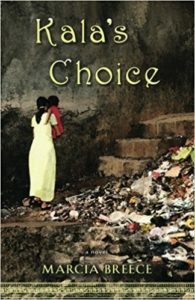 Claire Kaine, a corporate executive working in India, is totally focused on her career until she sees the tiny homeless girl bathing in the hotel fountain. Her corporate facade softens and the core of her life begins to redirect as the bond between them develops. Somewhere, just beyond her perception lies a mysterious truth that has eluded Morgan Hill. Compelled by a stormy morning, she opens an heirloom trunk to find a well-worn quilt with Cuimhnigh embroidered in one corner, Gaelic for remember. Beneath the quilt she finds a pair of old glasses. When she slides the spectacles onto her face, colorful orbs of liquid light dance like swans to faint but oddly familiar melodies of clàrsach and balalaika. The glasses become part of her daily life, stowed in her wiry copper and silver mane like reading glasses. Marcia Breece has traveled many paths—a dutiful housewife and caring mother, a high-powered, globe-trotting executive, and a small business owner. Her most important path however, took her on a journey to reclaim her authentic Self.